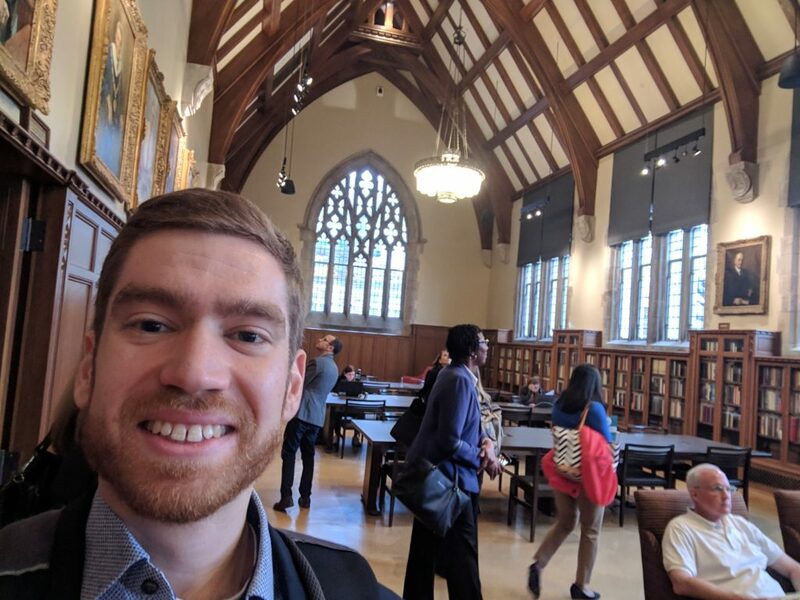 Senior Acoustic Consultant Steve Schlaseman attended the SCUP 2019 Southern Symposium at Duke University’s Perkins Library in Durham, NC. A Duke graduate himself, Steve joined a broad range of architects and institutions to take a closer look at how to create environments that provide the right mix and type of learning spaces for today’s modern student. Attendees shared ideas for planning and building environments which foster group project work and student-faculty exchanges outside the classroom. The conference ended with a tour through several recently completed buildings at Duke, including one of our projects — the Brodhead Center! JH attends SCUP 2019 and tours Duke’s Gothic Book Room.